If you know anything about my approach to health and fitness, you know that I’m ALL about sustainable results and no B.S., so you’re probably surprised that I would make a blog post about “fat loss foods”. Well, let me explain..
No single food is going to miraculously make you drop fat, even if Dr. Oz says so. The real, scientific, unsexy truth is that fat loss is the product of being in a caloric deficit. Meaning that you must burn more calories than you consume. You can burn calories through exercise of course, but your body also uses a lot of calories to keep you alive, too! So, the best “fat loss foods” are really just foods that make it easier for you to stay in a caloric deficit, THAT’S IT! They don’t have any magical properties that blast away fat cells or anything, but they do help you feel more full and satisfy your appetite. Therefore you will eat LESS and by default, be in a caloric deficit-- make sense? Zucchini is full of fiber and water, which helps fill you up for very little calories! It’s also SUPER versatile, so you can use it to bulk up recipes or as a substitute for more calorie-dense ingredients. 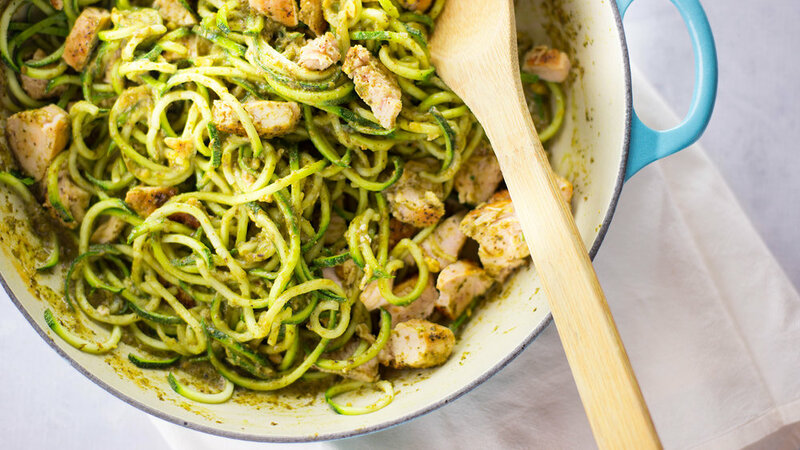 For example, zoodles are a great swap for pasta, and zucchini pizza planks are surprisingly delicious! Bonus: cauliflower is another great veggie that can be used in place of pasta, pizza crust, and more! Okay, this one isn’t actually a food, but it’s TOO good of an appetite hack not to include it! Carbonated beverages are great for filling up your stomach when you’re feeling snacky but not actually physically hungry. Unsweetened bevvies like sparkling mineral water or La Crois are great options, or if you want a healthy diet soda option, try Zevia! When you’re craving something sweet and refreshing, berries are your best bet! Snack on them plain, add them to greek yogurt, or throw them in a smoothie! You absolutely don’t need to cut out fruit in order to lose fat, but you should be aware that some fruits are way more calorie-dense than others! For example, bananas are 90 calories per 100 grams, whereas raspberries, blackberries, and strawberries are all under 40 calories for the same amount. Berries are also a great source of fiber, which again, will help you feel fuller for longer. Gone are the days where women should fear that protein powder will make them “bulky”. In reality, protein is an essential macronutrient that will help you achieve a leaner physique and rev up your metabolism! You can get protein from a million different sources, but I chose protein powder for this list because it is the ultimate sweet tooth cure, and if you're anything like me, sweets are your biggest weakness! You can stir protein powder into your morning oatmeal, whip up some baked goodies, or mix up a simple shake with amazing flavors like “Frosted Chocolate Cupcake” and “Peanut Butter Cookie”-- yes please!